Dr. Stincer graduated from the Medical College of Georgia in 1978 where he completed his internship and residency in internal medicine in 1981. He practiced internal medicine in Augusta until 2003, at which time he started working on the Spinal Cord Injury Unit at the Charlie Norwood VA Medical Center where he served as Chief of the Spinal Cord Injury Unit. In April 2016 Dr. Stincer returned to the Augusta community to practice internal medicine through an affiliation with Trinity Hospital of Augusta. Beginning July 2017 Dr. Stincer joined Evans Medical Group. Medical work both in our community and in foreign countries has been a vital part of his medical career. 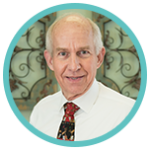 Dr. Stincer is founder and CEO of The Great Commission, Inc. a non-profit corporation providing medical care to the underserved in our community and throughout the world. He is fluent in English and Spanish.